Vita Deco Vertical is available from stock in RAL 9016 The colours shown are reproduced as accurately as this process will allow and can be made to order on the identified products. The Vita Deco Vertical is available in white (RAL 9016) as standard. Designer style hits new heights with this sleek, elegant Vita Deco Vertical radiator – proof that radiators can add style and panache to any modern home. 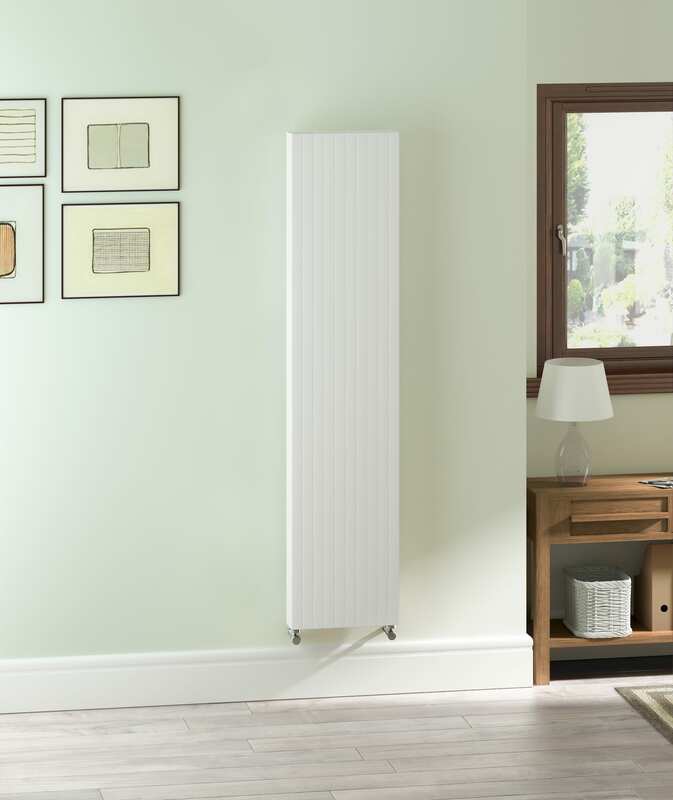 Sophisticated styling with a subtle 50mm lined front panel, this radiator comes in a selection of three models – all 1800mm high but in a choice of 400mm, 500mmm, or 600mm wide. A 10 year warranty offers confirmation of this radiators credentials, and these radiators deliver between 1,476 and 2,214 watts (5,036 to 7,554 Btu/hr), proving that good looking radiators also deliver exceptional heat sharing. Easy to install and maintenance free, this is a typical quality Stelrad product. Click here to watch how to install the Vita Deco Vertical.